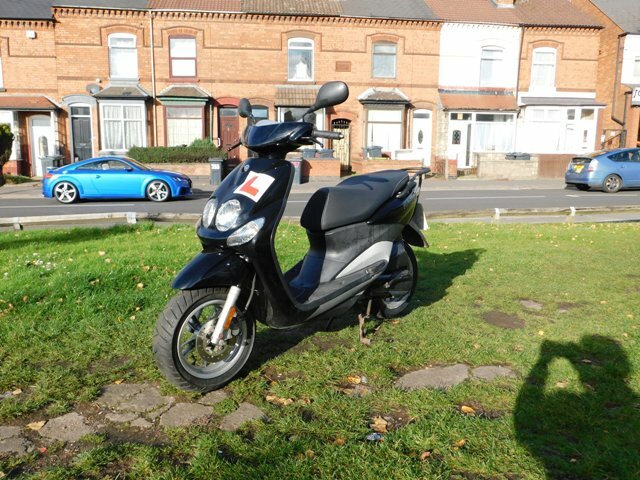 Pre owned Peugeot Tweet in red, fitted with a Datatool immobiliser, top box and screen. Full service history, only 2654 km. Manufactures warranty until March 2020. 4 stroke engine. 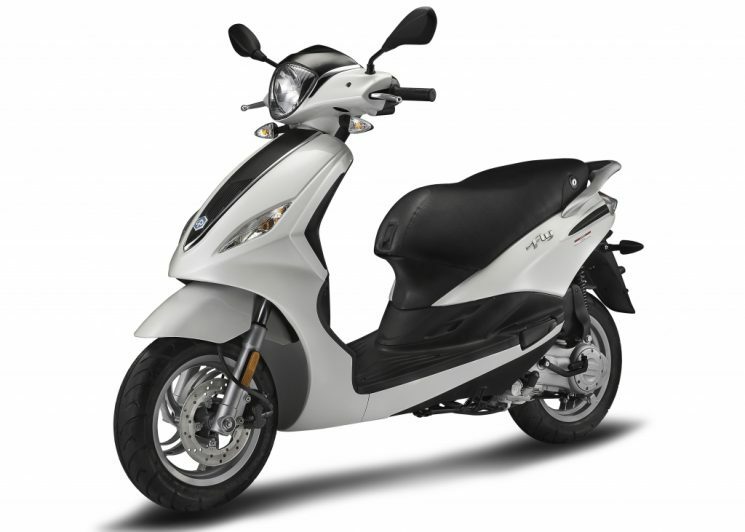 New with all the added extra it would be £2189.00. 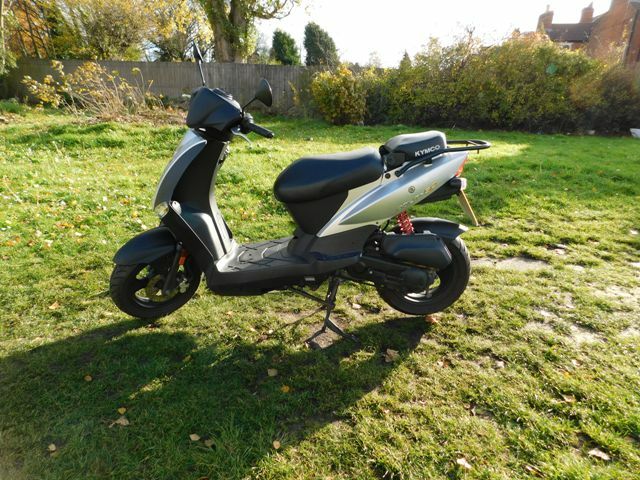 We have just taken this scooter into stock, so please note that this is a library photo, actual photo to follow soon. One owner from new, 6468 km. In good condition and in excellent mechanical condition. Comes with 3 months warranty and will not need an MOT until 2019. Piaggio Fly 50cc 15055 km. Just taken into stock. In good condition for a scooter of its age. Good little runner. Comes with a colour co-ordinated top box. 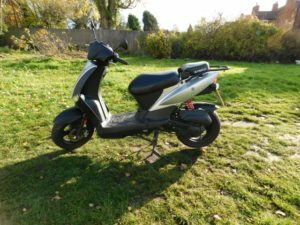 We have looked after and serviced this scooter for many years. Will have 12months MOT. This is a trade sale, please see below the definition of a trade sale. 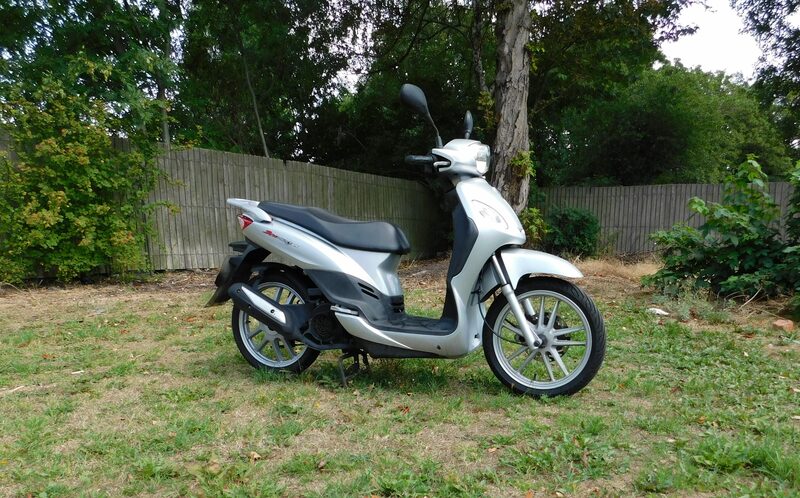 One owner from new – used to commute to and from work daily. Full service history and recently had wheel bearings changed. Excellent mechanical condition, good overall cosmetic condition. A few age related marks here and there. 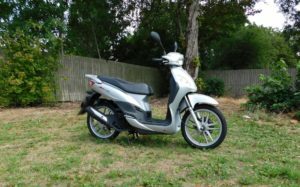 Overall an excellent practical learner legal scooter. TRADE SALE. 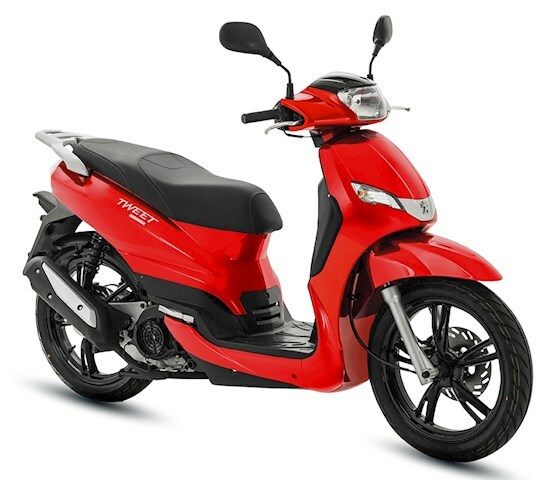 This means that it is a machine we have taken in part-exchange or are selling on behalf of a customer, and DO NOT intend to retail with a pre-delivery inspection or a warranty. All trade sales are runners and most are MOT’d. They are sold on an ‘as seen’ basis and the price reflects this.